I promise we’ll get off the meta train soon, but Paul’s post last week on Norma Fraser’s excellent take on Cat Stevens’ “The First Cut is the Deepest” got me thinking about my favorite female fronted reggae track, “Breaking Up” by the grandfather of rocksteady, Alton Ellis. The song went through a number of variations over the years—thus the bevy of release dates listed—but my favorite is this one he did with his sister, Hortense Ellis, taking lead vocals. Alton—born in Kingston, Jamaica—had a long and storied career in music, starting at a very young age in a family of music-lovers and writing + performing up until the end of his life in 2008, when succumbed to cancer at age 70. Plus he had more than twenty children, so that’s quite a legacy. 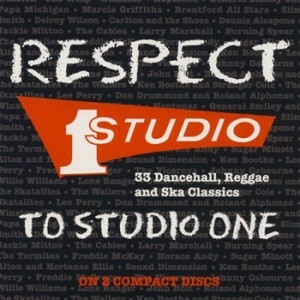 You can get this particular release on the excellent Respect to Studio One compilation, which I’d highly recommend for any lovers of early reggae, rocksteady, and ska. It also features some great tracks from the Heptones and Lone Ranger, among others.